These are versatile flagged Split Flange Coupling / Couplers used in various industries & application. These are made from Carbon & alloy steels & applied where there is less space to assemble & operate. Banking on our vast experience in this domain, we are engaged in manufacturing quality assured Flange Coupling. - Specially designed for Engine Applications. - Coupling mounted directly on engine flywheel. 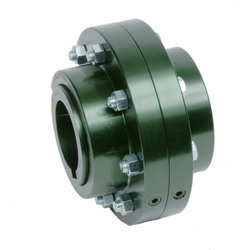 We are offering an excellent quality collection of Flange Coupling, well-known for the features like compact design, durability and reliable functionality, the offered range is fabricated using utmost grade raw materials and advanced engineering concepts in conformity with international quality standards. Feature: The type of coupling basically consists two flanged end pieces joined together with the help of spigot and recess provided between two flanges to maintain gap between them. 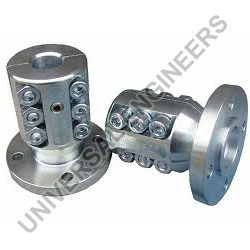 The flanges are connected firmly by means of fitted bolts which are tightened accordingly to the torque to be transmitted. Size: UPTO 1" TO 12"